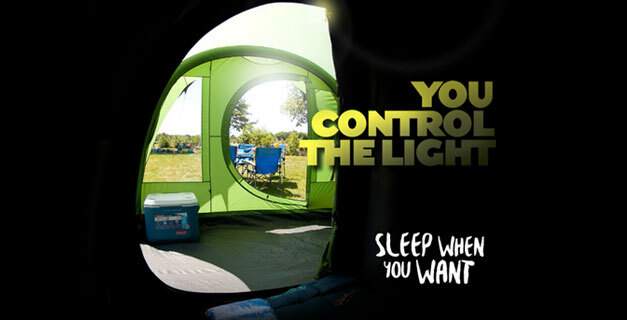 Coleman® patent pending BlackOut Bedroom® is a revolutionary new sleep system for campers. Ideal for parents or anyone who is sensitive to daylight. Our patent pending technology blocks up to 99% of daylight penetrating the bedroom - helping you get a longer, more restful sleep!